In addition to the “giant” catapult, three other catapult designs were featured up on Garden Ground Mountain in the pioneering area. Eventually, they were positioned on the far side of Peschke Field, facing a clear expanse of ground which was sectioned off to serve as a shooting area. 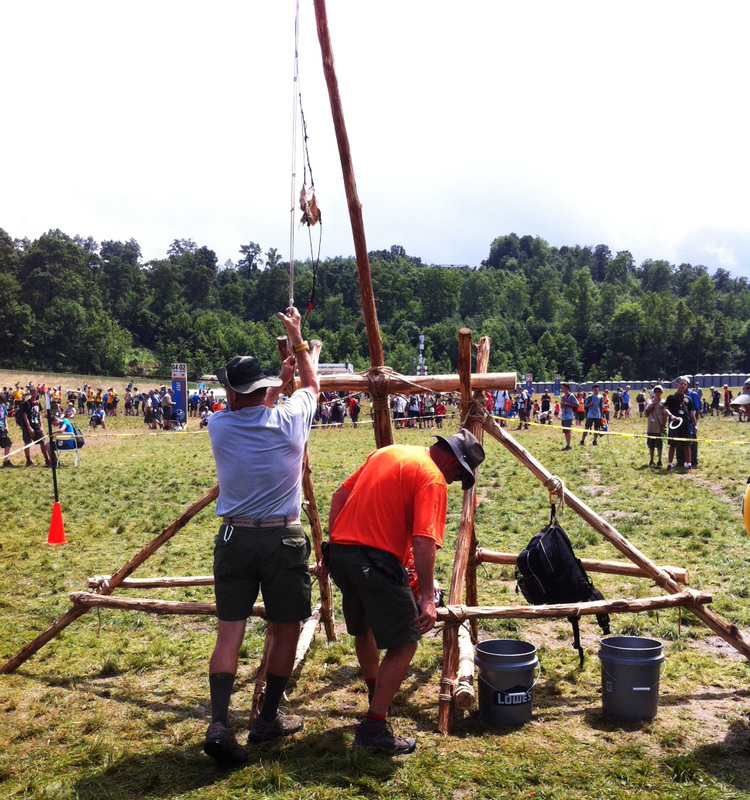 Periodically, to the amusement and awe of onlookers and those passing by, the 10′ Double A-Frame Trebuchet with a 200 pound counter weight would launch a large monkey fist in a high arc far down the length of the firing range. 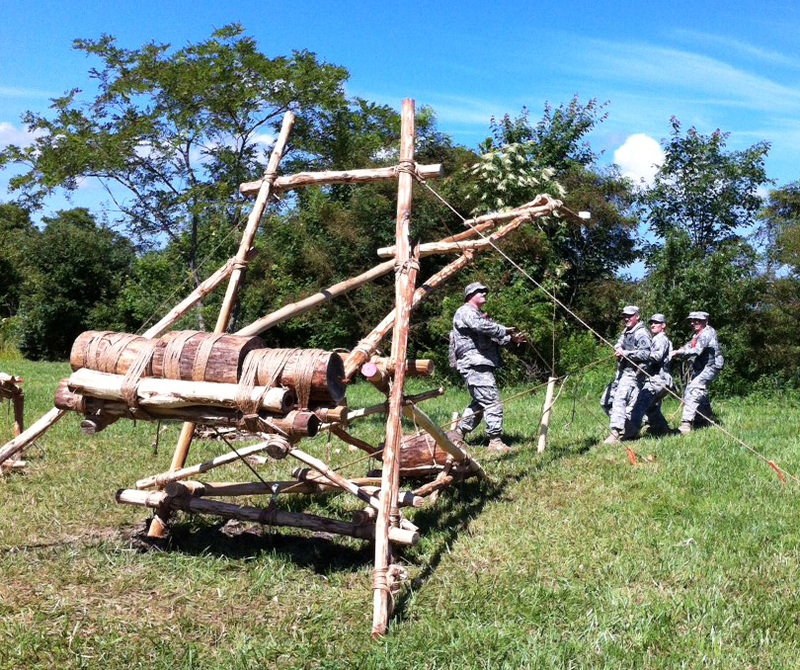 Scouts load the smaller, counter-weighted catapult and launch their shot by pulling together to snap up the arm. These are great, but are there videos of the catupult/trebuchet in action? Hi Alan, I assume there are, however, I was just going around taking stills. It would have been great to actually have tracked the flight of what was being launched and catch spectator reactions.